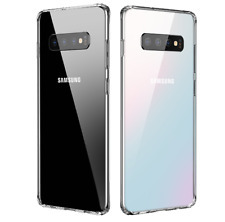 NOT COMPATIBLE WITH SAMSUNG GALAXY S10 OR S10 E. It's made of high quality TPU. Effortlessly slip on the Flex Pro and it will stay on tight due to its secure exact fit molding. Precisely engineered cutouts allow for easy access to buttons and allow compatibility to third-party jacks and ports. BLOWOUT SALE!!! • SHIPS BY NEXT DAY!!! 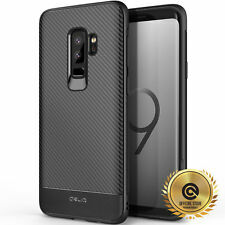 For Samsung Galaxy Note 9 (Black). We distribute iPod & iPhone accessories worldwide. Compatible with Samsung Galaxy Note9. Easy installation protects and stylizes your phone in a flash. Thin, sleek, stylish, pocket-friendly design, with wraparound colors and graphics add seamless style. IPhone X / iPhone XS HARD RUBBER PREMIUM GUMMY CASE. Compatibility:iPhone X / iPhone XS. The magnetic ring mount is not included. And the case will only work with a car mount only. does not work with wireless charging pad. Commuter Series for Galaxy J3. For Samsung Galaxy J3 - Black. OtterBox Commuter Dual-Layers Case Snap Cover. Perfect fit for your pocket. Built to beat the daily grind. We distribute iPod & iPhone accessories worldwide. Model : Samsung Galaxy S8 Active (Will NOT fit on regular Galaxy S8 or S8 Plus). Keep your phone close at hand with the 3-in-1 protector cover combo, which includes a rugged Kinetic Hybrid Protector Cover, fitted holster and screen protector. Commuter Series by OtterBox is built for life on the go. Plus, the slim, pocket-friendly Commuter Series for Galaxy Note 5 conserves precious space in bags and purses. And, port plugs stop dust and pocket lint from clogging your inputs, keeping your device ready for your daily grind. For Samsung Galaxy Note 9 Case Rugged Cover "Belt Clip Fits Otterbox Defender"
J 7 (2018) Version Only (J7 Star, J7 Refine, J7 V 2nd Gen, J7 J737P. My Jacket Smart Leather Wallet Protector Case Holder & Stand Book-style. For Samsung Galaxy. Material : Synthetic Leather. Simple installation no tools required, clip-on easily. ). Thin, light-weight. Keep your Phone safe and protected in style. 1 X Storm Case. 100% AUTHENTIC!!! • SHIPS BY NEXT DAY!!! Compatible with Samsung Galaxy S9. Easy installation protects and stylizes your phone in a flash. Thin, sleek, stylish, pocket-friendly design, with wraparound colors and graphics add seamless style. SAMSUNG GALAXY S7 Edge HYBRID HARD & SOFT ARMOR CASE. Compatibility:Galaxy S7 Edge. DESIGN: BLACK / BLACK HYBRID ARMOR. Quantity :1 Case. (2-in-1 dual layer design : hybrid high impact combo with front and backhard protector andsoft silicone in the middle). 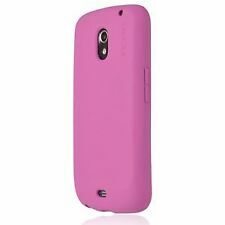 For Samsung cell phones users, there is a wide selection of stylish, durable phone covers and accessories. The options range from rubber cases to cell phone wallets. By choosing the right case, Samsung users can boost the lifespan, functionality, and aesthetics of their device. 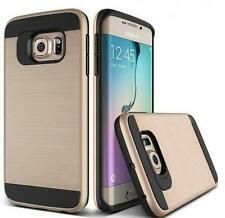 What are the main types of Samsung cell phone cases and covers? Skin Cases: These options are flexible, durable, and lightweight. They're ideal if you don't want to add heft to your slim Samsung device. They tend to be constructed of rubber or silicone. Shell Cases: Shell styles are rigid rather than flexible, but they're still thin and lightweight. They're good at protecting the body from scratches, but they don't cover the screen, so many people use shell cases in conjunction with screen covers. Leather Cases: For an upscale aesthetic, select a leather case, which offers excellent protection. Wallet Cases: These styles serve dual purposes. The phone fits snugly in the front. In the back, these cases are equipped with slots and pockets, where you can stash cash, ID cards, and more. Rugged Cases: Rugged styles are designed for people who need the most protection. They often have multiple layers, which means they can withstand tumbles and harsh weather. They're also designed to keep out debris. View Flip Cases: View flip cases wrap around the phone, but they allow users to interact with the front of the screen. What other features do these Samsung covers have? 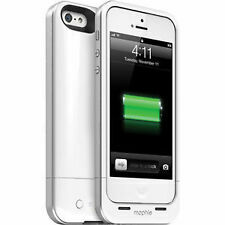 Charging: Some cases are equipped with battery charges or wireless charge force, which means users never run out of batteries. LED Cover: There are also cases with LED covers, which provide users with information like time, date, alarms, and incoming calls. Keyboard: Some Samsung cases are equipped with mechanical QWERTY keyboards, which is ideal for users who don't like touchscreen keyboards. Kickstand: When watching videos or movies, a kickstand comes in handy. Many of the Samsung rugged cases have holsters that double as kickstands. What styles and patterns are Samsung cases available in?